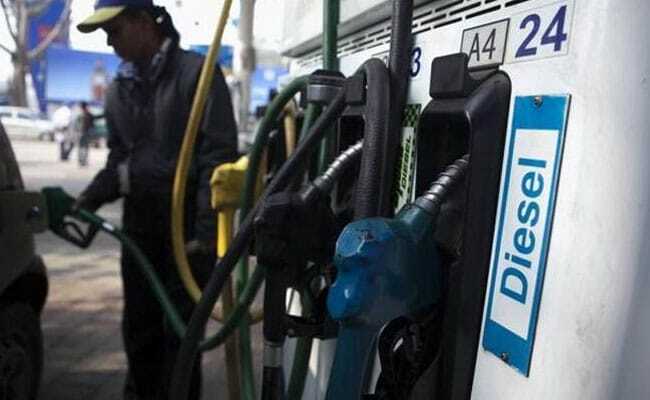 Nitin Gadkari said India needs around 2,900 crore litres of petrol and 9000 crore litres of diesel annually and that its import bill on account of crude oil stands at almost Rs 6 lakh crore which the government wants to bring down. The government is working on a policy to bring down the annual oil import bill by USD 100 billion by 2030 through extensive use of methanol in cooking gas and transportation fuel, union minister Nitin Gadkari told Lok Sabha today. The government was "shortly" going to implement a scheme under which 15 per cent methanol will be blended with petrol and which will reduce the cost of the fuel by 10 per cent, the Road Transport Minister said during the Zero Hour. India is the third biggest oil importer globally and the government has been making efforts to bring down imports by using alternative fuels such as methanol. "The final roadmap for 'Methanol Economy' being worked out by NITI Aaayog is targeting an annual reduction of USD 100 billion by 2030 in crude imports in line with our PM's vision," Mr Gadkari said. He said a cabinet note on use of methanol in marine and water transport sector will be moved shortly. The minister said use of methanol can result in "great environmental" benefits, adding its extensive use can reduce consumption of diesel by at least 20 per cent in next five to seven years. Mr Gadkari said 20 per cent blending of methanol with cooking fuel LPG will be low hanging fruit as it would result in an immediate savings of Rs 6,000 crore a year. Talking about the possible use of methanol in Railways, he said it can result in 50 per cent reduction in its diesel bills. Indian Railways consumes about 3 billion litres of diesel annually, costing Rs 15000 crore, he added. "India will convert about 50 vessels in the Port sector and various vessels owned by government entities to operate on methanol," Mr Gadkari said, adding that India has a huge potential of producing methanol. "India, with 125 billion tonnes of proven coal reserves and 500 million tonnes of biomass generated every year and the huge quantities of stranded and flared gases has a huge potential for ensuring energy security based on alternate feedstock and fuels," he said. Mr Gadkari said India needs around 2,900 crore litres of petrol and 9000 crore litres of diesel annually and that its import bill on account of crude oil stands at almost Rs 6 lakh crore which the government wants to bring down.